With Pride Season in full swing, we’re making a whole series of Queer Beard Questions! 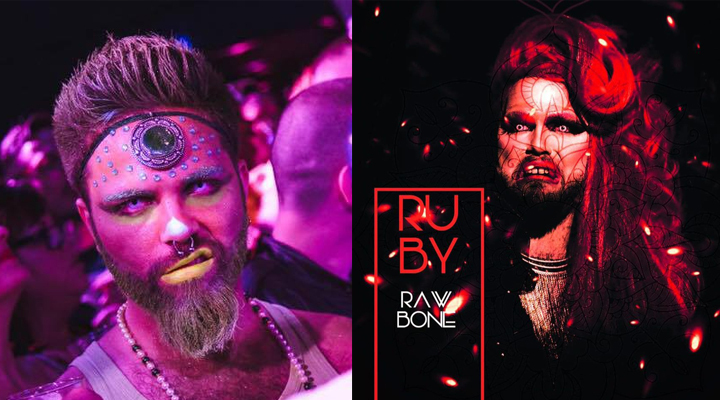 We’ll be seeking out various queer beards to question them on their thoughts on beards, their own expression of gender and gender identities and the progress we, the LGBTQ community, have made over the years. Drag to me means that I can be whatever I want to, Its a beautiful and varied art form. Drag is an expression, a movement, a performance. Drag Kings and Queens have been an integral part of the LGBTQ community and have been the key to so many successful equality movements. The art form has been around for centuries and continue to grow everyday. There are so many sub cultures within the drag community, which is a sub culture itself. It just shows how varied the art form is and to be part of something so wonderful is nothing short of an honour. Standing on stage at Bristol pride was a highlight of Ruby’s life so far and to receive the love and support that I did it made the 6am start worthwhile. What do beards mean to you? Beards have historically been a sign of status and masculinity. You just have to look at history and portraits to understand that… However it is very much not the case in this day and age. It is a look and they come in all shapes, sizes and colours. They are used as a sign of expression, blue beards being my favorite so far. 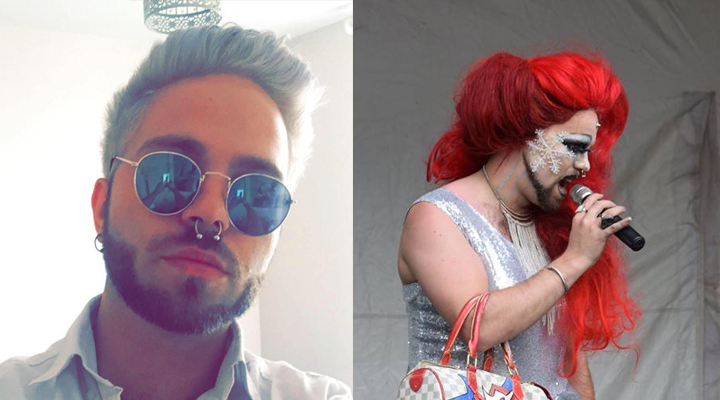 What statement are you trying to make by mixing drag and beards? When I first started being a drag performer, I loved my beard as Ross and thought why compromise. Ruby was spawned with a beard and why change that. The mixing of the stereotypical feminine look with the stereotypical masculine look worked for me as a performer. Why should I have to do something because society says so? I took a lot of influence from several areas from the beautiful creatures that make the ‘Sink the Pink’ nights in London, to the Cabaret stunners all around the country to the artistic prowess of the Housewives of Birmingham and the #Manchesterqueens. How do you feel about recent acknowledgements of different gender identities? About TIME, why should anyone be put in one of two boxes by society. There are an infinite amount of ‘boxes’ and people should be able to be who they want to be with THEIR life and jump in and out of whatever they want. Why label it? I feel some people have to compartmentalise to understand, but who cares what other people think, life is too short. Be the beautiful person you are, whatever that may be. What would you say to someone that sees beards as a “men only” zone and would force us in to little gender boxes? What words of wisdom and inspiration would you impart to anyone struggling with their idea of gender and how to present themselves? Be who ever you are and want to be. The people who care about you will love you for whatever you want. Just fill your life with love and positivity and you will be a very happy person leading a full life. I learned this the hard way. Ruby has shown and taught me a lot. I get so much love from strangers, friends and family so go on do your thing. The LGBTQ community are a massive family across the world and will stand by each other regardless. Drop a friend a message tell them you’ll support them with anything big or small. express yourself! LOVE LOVE LOVE! Thank you so much to the beautiful Ruby Rawbone! Stay bearded and stay beautiful, and keep up those words of positivity!